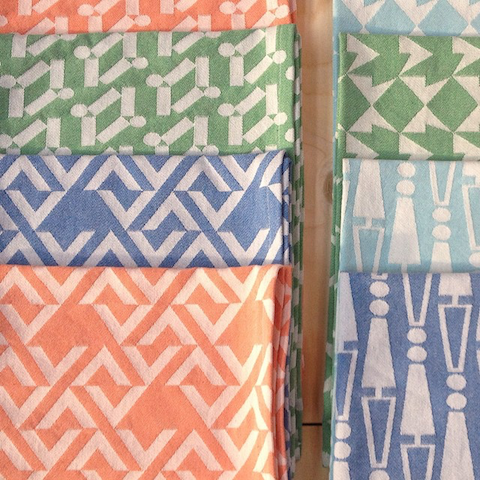 A review of the most exciting textiles and surface designs discovered at the 2014 edition of Tent London, held at the Truman Brewery. Yes yes it’s been 6 months since the 2014 edition of Tent London but straight after the show I became ridiculously busy with my 10th anniversary Kickstarter project, That Which We Do Not Understand. I have always wanted to share my finds properly, some of whom I have already profiled at length on this website, and I’m sure this little collection will offer some refreshing and exciting inspiration. 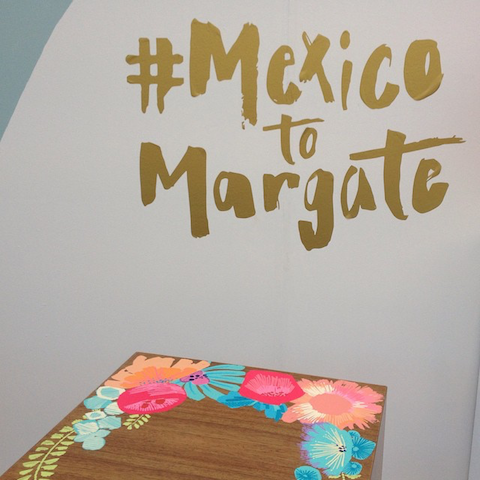 From Mexico to Margate was inspired by Zoe Murphy’s summer travels, and is the perfect vehicle for her zingy colour ways. 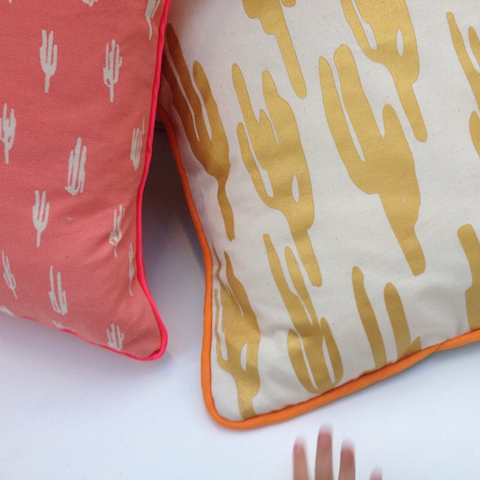 Used to great effect on these cacti fabric designs on cushions. Spot also the Snarfle ghost hand. Be seduced by the intricate chamber trip pop of Norwich band Wooden Arms... playing TONIGHT in London. My second review of the best of Tent London 2013 includes designs by the likes of Parris Wakefield Additions, Tamasine Osher, Permafrost, Tamasyn Gambell, Sit Furnishings and many more.